R. Bennett Blum, M.D. 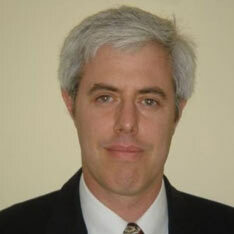 is a rabbi and an internationally acclaimed physician specializing in both forensic and geriatric psychiatry. An expert on the detection and impact of psychological manipulation tactics used by offenders to exploit the elderly and other vulnerable adults, his pioneering assessment techniques are taught throughout much of the Western Hemisphere. Dr. Blum’s work has been promoted by many international and US-based organizations, including: the United Nations and the International Criminal Tribunal for the Former Yugoslavia; US State Department and the Court of Bosnia and Herzegovina; Spanish Society of Legal Psychiatry; the World Psychiatric Association; American Bar Association; National College of Probate Judges; Association of Judicial Disciplinary Counsel; and the National Guardianship Association. As an expert witness and litigation consultant, Dr. Blum has worked on hundreds of legal cases throughout the United States, including the criminal trials of Susan Smith, Andrea Yates, Theresa Ramirez, and Linda Giles; litigation regarding Merrill-Lynch and the Orange County bankruptcy; and numerous cases involving financial exploitation, elder abuse, and undue influence claims. Internationally, Dr. Blum testified in the precedent-setting United Nations trial of General Pavle Strugar – the first full competency hearing before an international war crimes tribunal since Nuremberg. As a rabbi, Dr. Blum teaches the ancient, Medieval, and modern rabbinic writings regarding interpersonal exploitation, spirituality, and ethics. He has served as the chairman of the Ethics Committee for MAJR, the alumni organization of rabbis and cantors for the Academy for Jewish Religion – California. Elder financial abuse is a tragic, yet common, social phenomenon that results in increased morbidity and mortality of victims, as well as billions of dollars in social costs and economic loss. The behavior has occurred throughout history, and is cross-cultural. One of the most common methods to perpetrate elder financial abuse is called “undue influence” – a term that refers to excessive or inappropriate manipulation. Talmudic and other Rabbinic sources were well-aware of undue influence and the corrosive effect it had on society. One of the terms used to describe a particularly pernicious form of undue influence is geneivat da’at. This paper reviews the concept of geneivat da’at, its development through history, and its applicability for use in the modern US legal system for understanding, preventing, and intervening in elder financial abuse cases.